Legacy again the #1 in the UK with +906 gPLI! 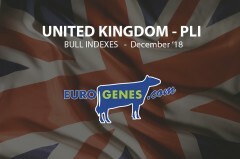 In the NEW December proofs in the United Kingdom there is again an outstaning #1 in Pine-Tree Legacy with +906 gPLI! It's is also again Denovo 7921 Atrium who holds the second position with +878 gPLI! Third in the international genomic list in te UK is Peak Altaleap with +871 gPLI and 2.35 Type followed by ABS Crimson with +853 gPLI. The last in the top 5 is ABS Outback with +847 gPLI. The #1 daughter proven TYPE sire in the UK is Delaberge Pepper with +3.39 TM and +616 gPLI. Pepper is close followed by EDG Rubicon who notes +3.36 TM and +676 gPLI. 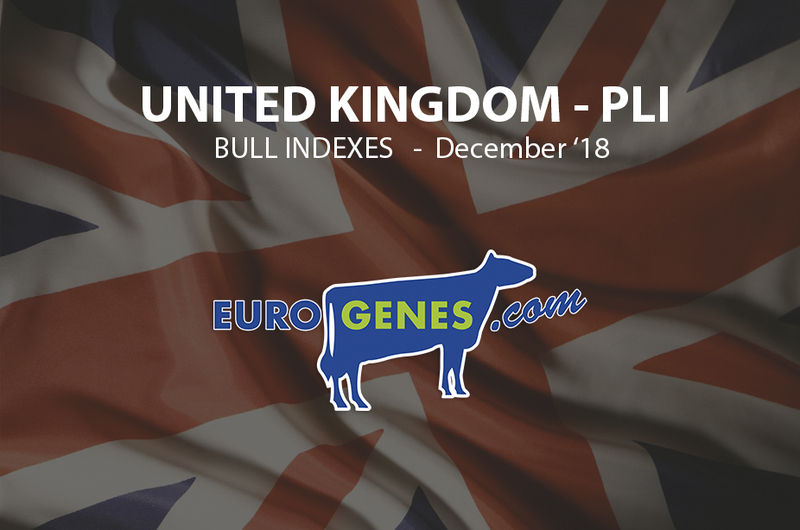 In the genomic bulls TYPE list is the first place for NH Solito-Red, the R&W sire notes +3.51 TM in combination with +2.59 for his Mammary System. Far away from Solito follows the polled sire Swissbec Boby P with +3.19 TM and +623 gPLI.